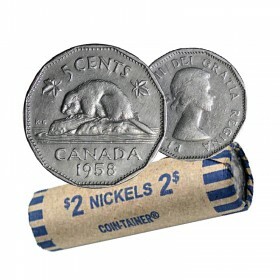 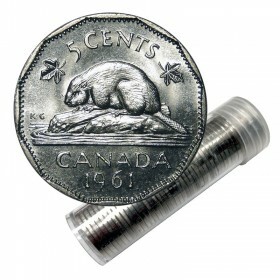 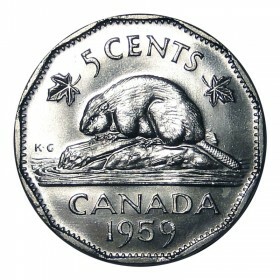 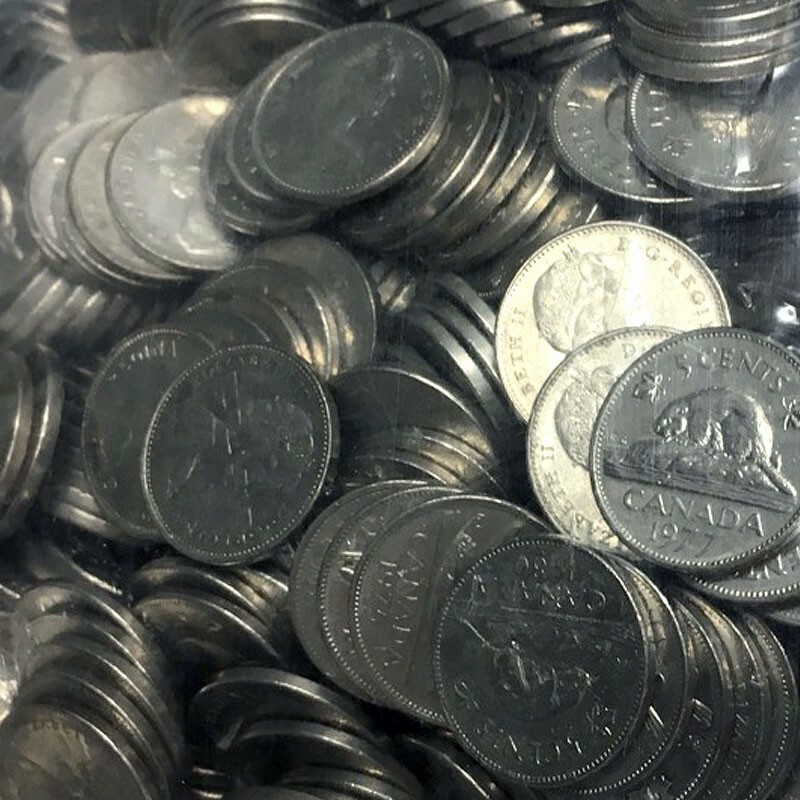 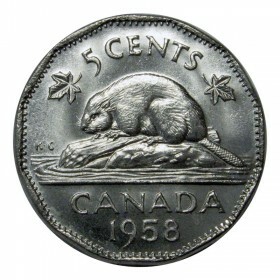 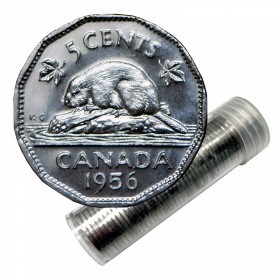 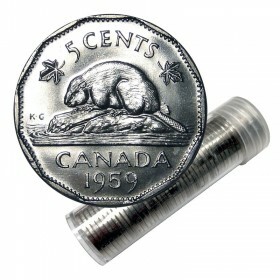 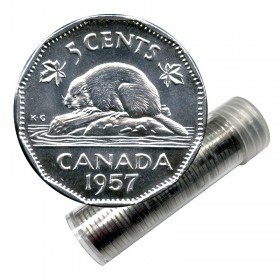 Canadian 5-Cent coins are all composed of 100% nickel. 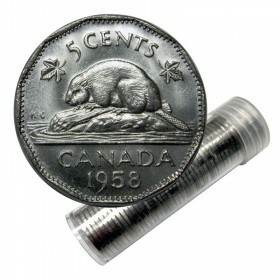 Each coin with a nominal weight of 4.54 grams. 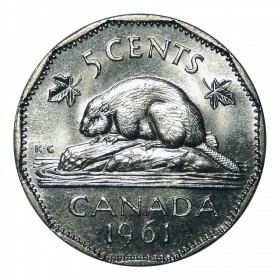 All 5-Cent coins are Royal Canadian Mint issued, will consist of a random assortment between 1963 - 1981 and are in circulated condition. 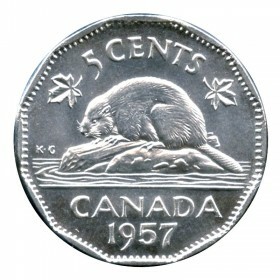 Features a beaver on a rock-studded mound of earth rising out of the water. 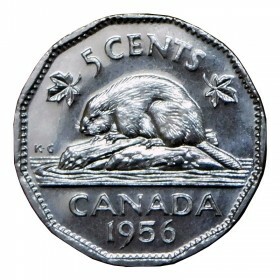 At the left is a log which the beaver has been chewing. 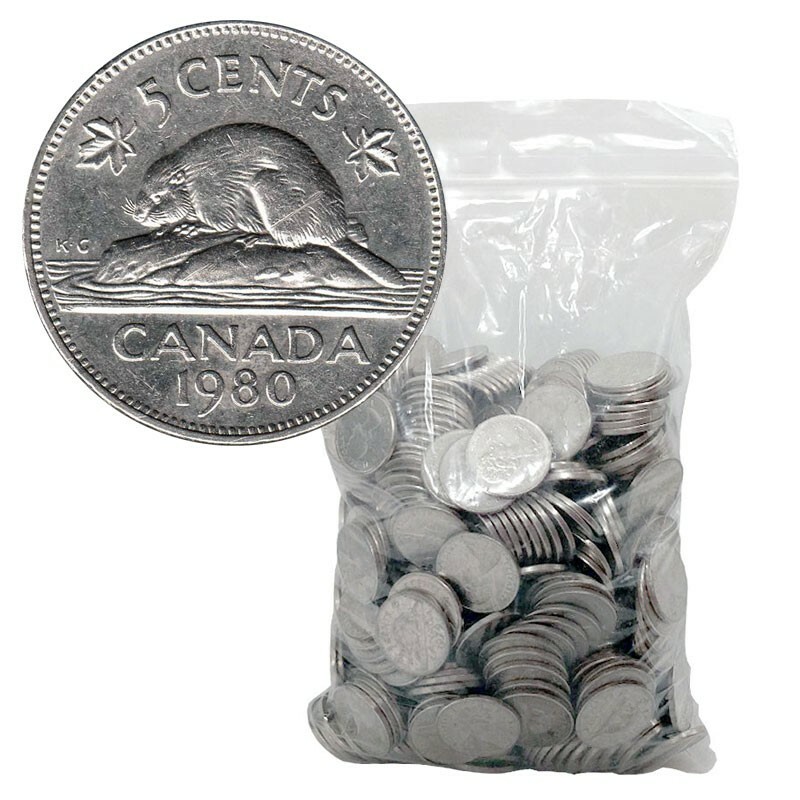 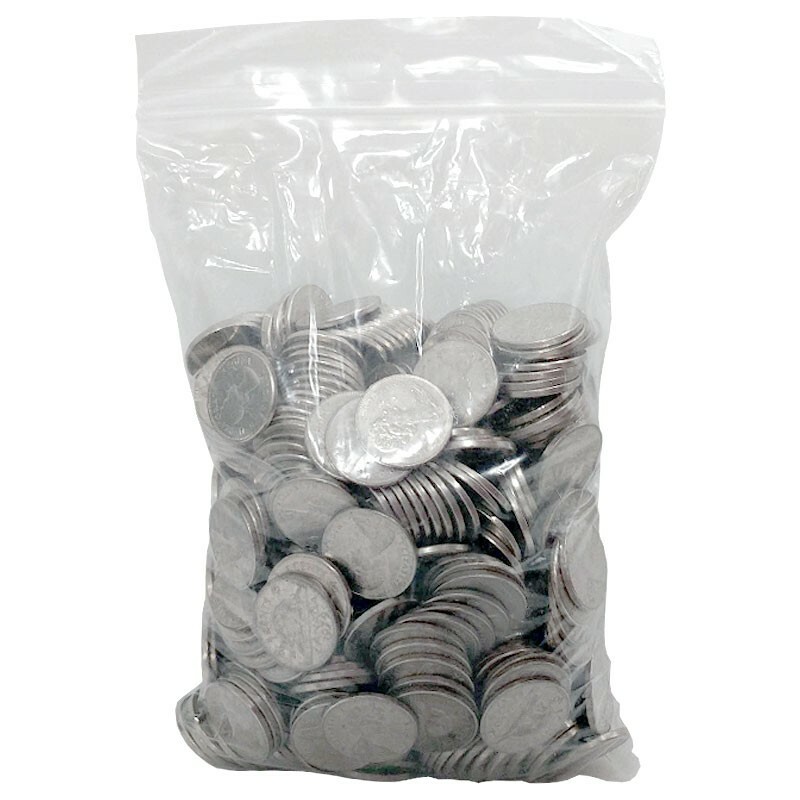 1963-1981 Canadian 5-Cent Beaver 100% Nickel 5 lb (2.3 kg) Bulk Circulated Coin Lot comes in packaged in a durable, clear ziplock bag.